The Lost History of America - Learning From The Past - Chickensomething What Are You Afraid Of? It leaves out many deep social and philosophical values that gave the Europeans the edge in creating a whole new world. Only the cost was too high. On all sides of the deal. Everyone fighting with one another. Turning people into property and property into people. Like the same things going on today. Mainly it documents how Florida was the real first European colony in North America and how it became the 14th the 15th colonies in the British Empire. Plus, how important the Florida colonies were to the revolution and how the United States finally took control over it all. 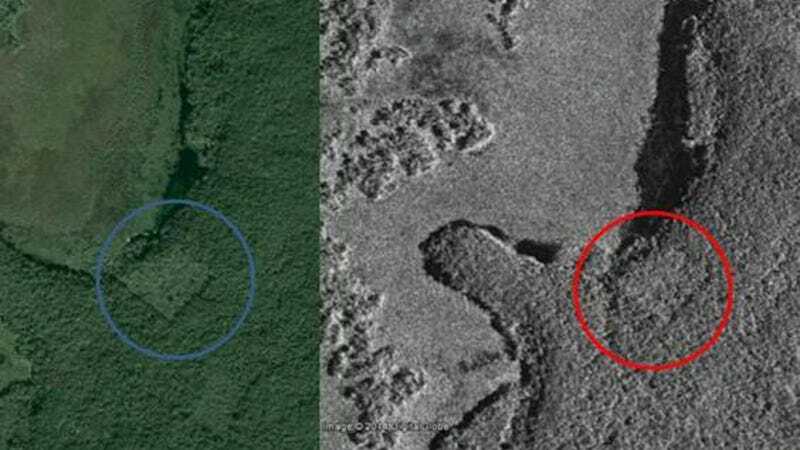 RESEARCHERS have uncovered more than 60,000 hidden Maya ruins in Guatemala, in a groundbreaking archaeological breakthrough which revealed palaces, houses, elevated highways and defensive fortifications below the forest. He went on to add that he found the magnitude of the recent survey "breathtaking". ”I know it sounds hyperbolic but when I saw the (Lidar) imagery, it did bring tears to my eyes." 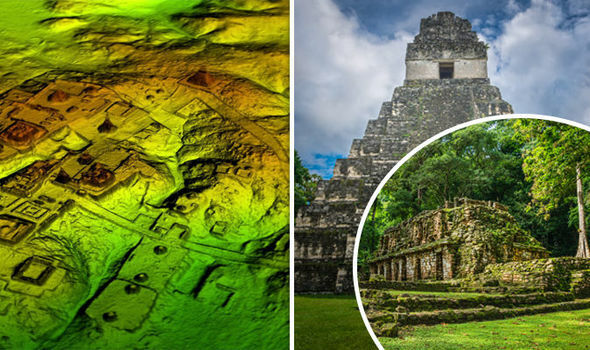 Results from the research using light detection and ranging technology, more commonly known as Lidar implies that Central America supported an advanced civilisation, similar to cultures like ancient Greece or China. Lidar technology unveils archaeological finds almost invisible to the naked eye. Millions of lasers are beamed at the ground from a helicopter or plane and the wavelengths are measured as they bounce back. The measurements are then used to produce a detailed dimensional image. Sattilites have been taking deep imagery of the jungles all over the whorld for yhears. Father time has hidden some great gems ovher the rhainbow. Maybe some teenager will find a great discovery to bowl the world over with revealation and whonder. Look into some of thinking of the Spanish Court regarding how to treat natives. One result is The 'El Requiremento': This document gave permission and absolution to the soldiers of the time to kill the 'enemy' with a clear conscience. Their behavior towards the indigenous people wasn't any better than the English. El Requerimiento, meaning "the requirement, or demand," was drafted in 1513 by Juan López de Palacios Rubios, a member of the Council of Castile, which advised King Ferdinand. The document was designed to be read in Spanish by Spanish explorers to American Indians, introducing them to Christian doctrine. Indians were not compelled to convert, but if they did not, they were immediately subject to Spanish invasion. The following English translation is published by Wikipedia. This is a short documentary about Hernando de Soto's trials and travails while exploring North America. It does exaggerate Spain's glory in their attitude towards indigenous people. Also, it makes mention of the disease that ran rampant throughout the New World. Personally, I think that was the greatest contributor in conquering the New World. The Spanish paved the way for the English and French to walk right in to a completely different collection of tribes after their numbers diminished up to 90% in 200 years. De Soto was a great contributor towards that. 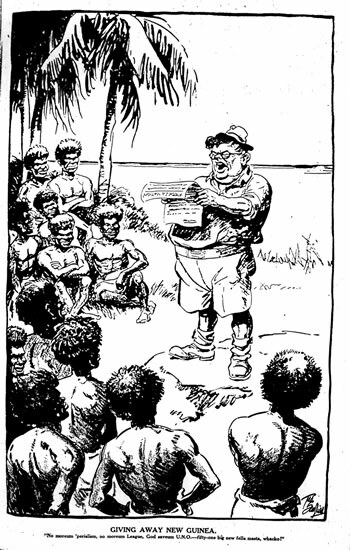 Always there are the powerful to hold sway over the natives. Doesn't matter where. It's the same kind of pyramid power displayed in all ages. Whether by crook or benign republic there are always those at the top who control the weather. Any man who holds power and authority must consider the responsibility inherent. I think Machiavelli described it best with his Discourses on Livy and especially in the Prince. History is filled with this behavior. History teaches us what happens to men and women who hold these great positions and their effects/affects in all their spheres of influence. All the failures and success', the reasons why, traditions and beliefs, etc. All this and more are just small details in a much larger canvas. Angelle thanks for taking this on board from the start,also winky you the man.